Weather permitting, East Trinity Place between Fire Station No. 1 and the CSX rail line (as well as a short segment of East Howard Avenue) will be resurfaced on Thursday, August 17. This will conclude the street repaving associated with the Railroad Crossing Improvement at Candler and McDonough. 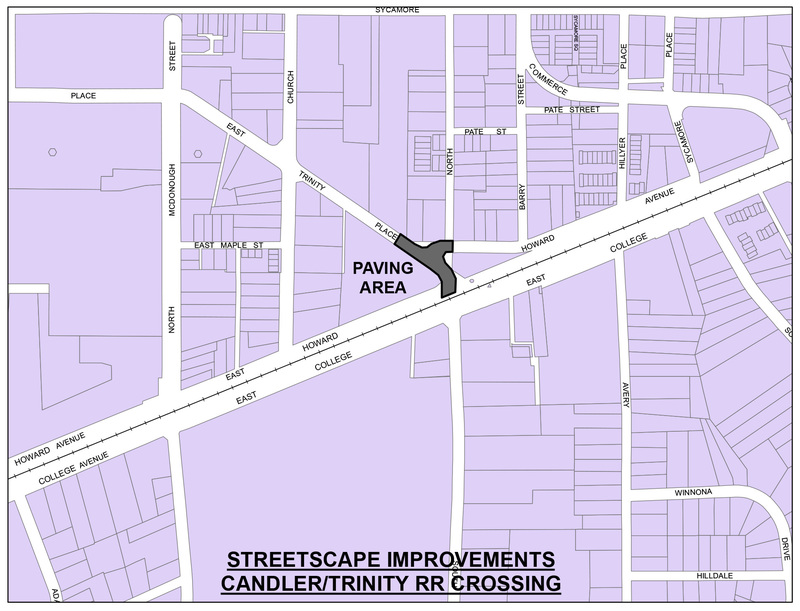 There will be temporary East Trinity lane closures and traffic delays during the work. East Howard Avenue at East Trinity Place will be closed starting Wednesday afternoon, August 16, while it’s being prepared for paving. It will remain closed through Thursday. The work should take one day. Interim pavement striping will follow shortly thereafter. A map of the work area is shown below (click for larger view).